06/30/2018 (08:00PM - 09:00PM) (Saturday) : SEASON FINALE - With Hart (Jennifer Beals) in grave danger, the team must find their own way to stop Ramsey (Tahmoh Penikett) before his plan to assassinate a senator starts a war with international terrorists. 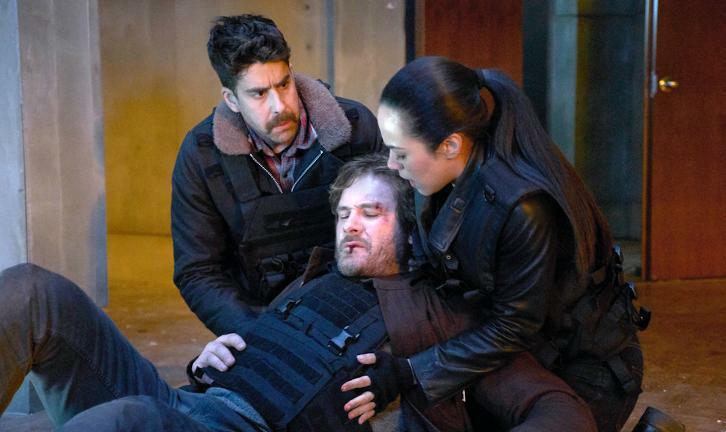 Also starring Clive Standen, Adam Goldberg and Jessica Camacho. Also guest starring Peter Outerbridge (Casey), Brittany Allen (Ella Riordan), Benz Antoine (Senator McDermott) and Nabeel El Khafif (Kamara).